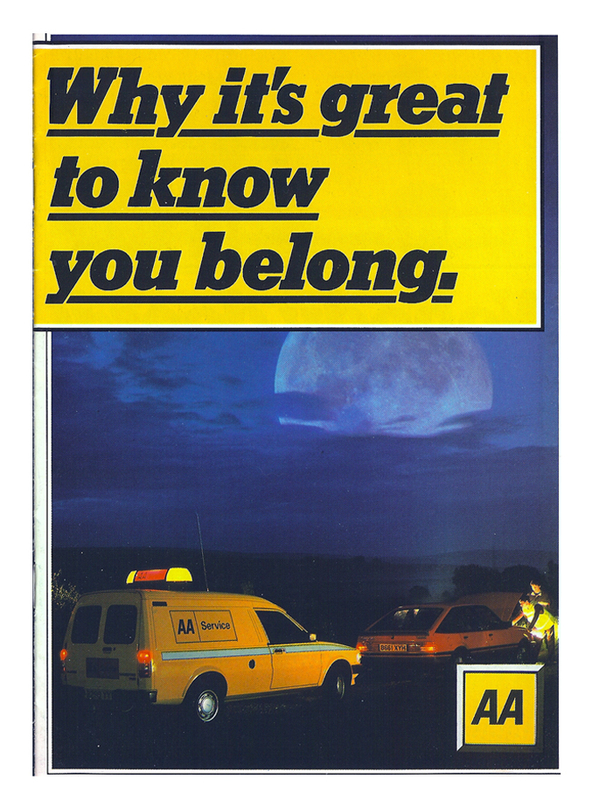 The Automobile Association The AA had had great success with a campaign built around the slogan – ‘It’s great to know you belong.’ The campaign had been well received andthe slogan was familiar but it had been running for several years. In order to keep the target audience interested and to stay ahead of the competition, a new campaign was needed. However, try as we might, the creative teams had not been able to come up with anything to match the successful slogan. Then I hit on the simple idea of adding the one word – ‘why’ – to the original message. This changed the focus from a simple statement to a benefit. Visuals showing a car broken down at night in a deserted landscape combined with the new slogan pressed the message home and gave the campaign several years more life, for a relatively modest budget.